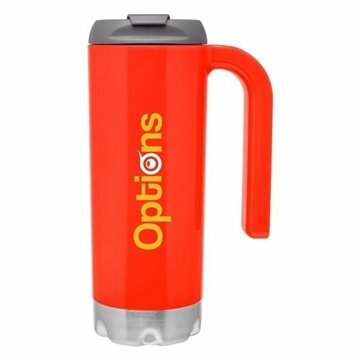 16.9 oz double wall acrylic mug with stainless steel base and snap-fit threaded lid. Great product for the price! Amazingly quick turnaround! Excellent- love the color. Very professional. the product looked great...very professional and durable. We loved the product. Logo looks very nice. Did not expect lanyards, so that was a nice addition. Exceeded my expectations The employees loved this item as well as the convertibility of it. Very stylish product. Good size and rapid production.